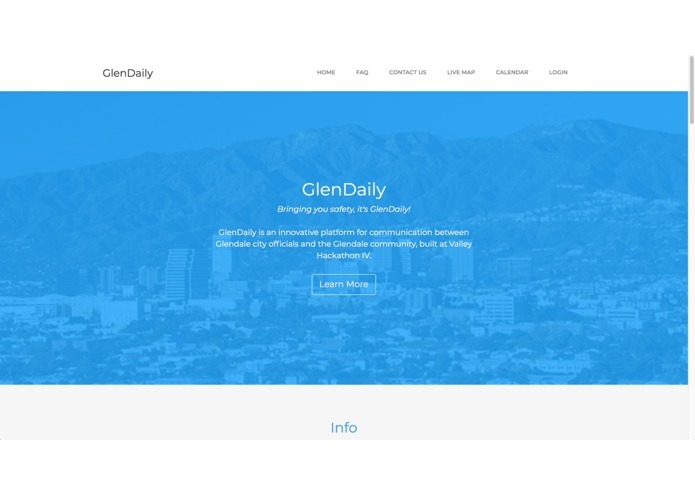 We wanted to build a more useful platform for communication between Glendale city officials and the Glendale community than just an informational website. 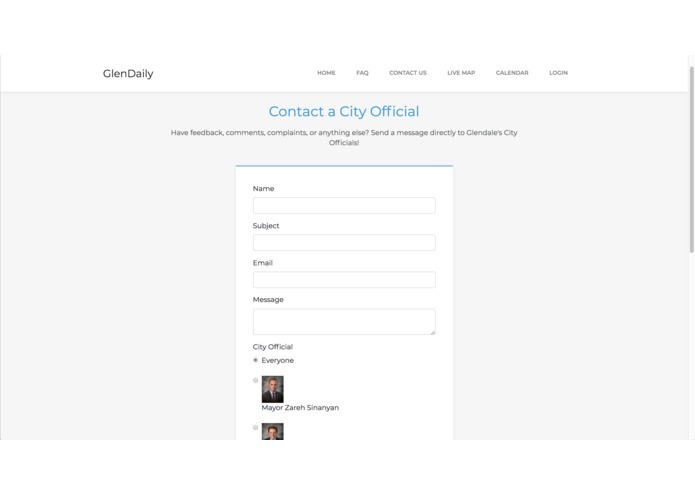 For many, accessibility is a barrier to the ability to communicate their needs, express concerns, and stay connected with the city of Glendale. 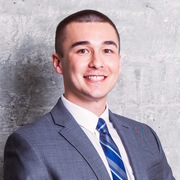 We thought, we could combine the powerful ability to geotag maps with an open platform where users could raise their concerns and see them resolved in real time. 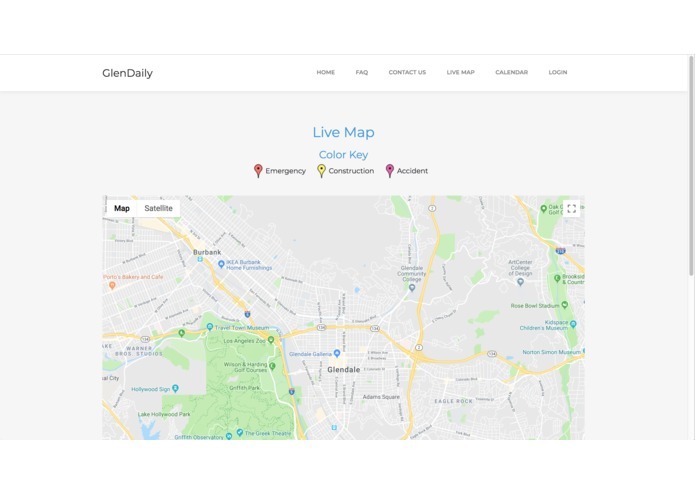 GlenDaily allows user to post reports on a live public map. City officials then address the reports and mark them as resolved. 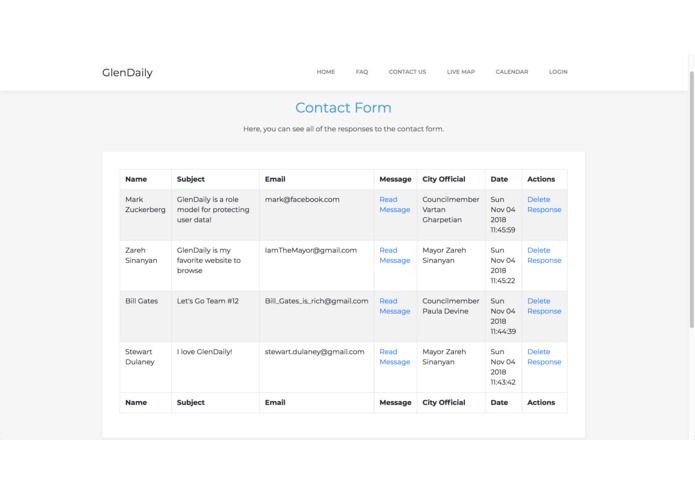 City officials have access to an admin dashboard where they can view incoming tickets assigned specifically to them, broadcast alerts about new ideas, challenges, and projects, as well as post community events to a live calendar feed. 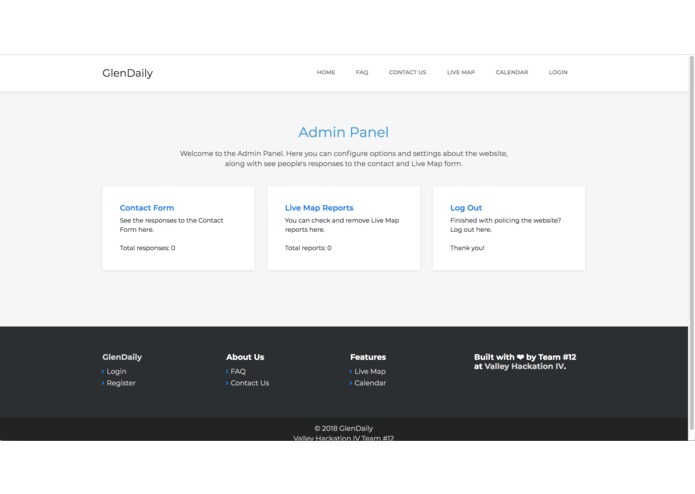 We developed a responsive front end using Bootstrap and Handlebars templates. We deployed our web application using Heroku in order to have SSL enabled. Managing git branches and merge conflicts. Accessing geolocation information from the browser without SSL in our dev environments. Completing all features in the 4 hours allocated for development and creating a presentation. 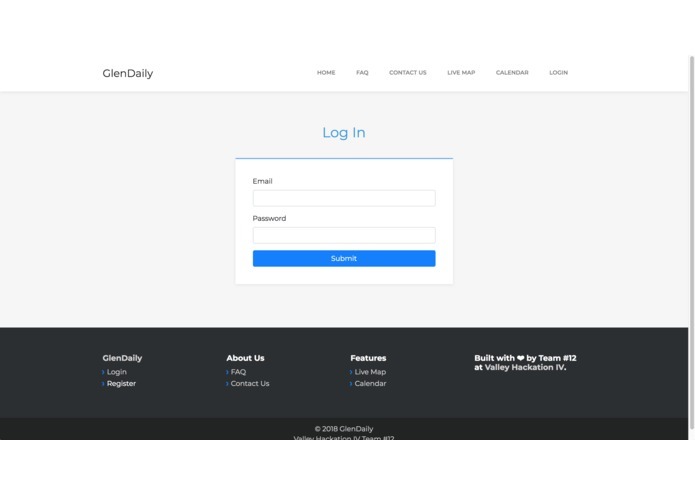 Building the web application functionality from scratch instead of using a CMS. Winning 2nd place at what was the first hackathon for all of us. Learned how to work together on the same git repo. Learned how to work as a team and utilize each of our different skillsets for different roles. Learned more about Handlebars templates. As part of winning 2nd place we have the opportunity to present our idea to the entire Glendale City Council.